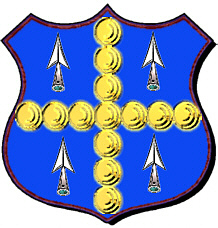 Blue with a gold cross between four arrow heads. A silver shield with a black saltire and three gold cushions on a red chief. Clan Johnstone is one of the greatest Clans ever to inhabit the borders, an area renowned throughout Scotland for its lawlessness. A hardy people, the Johnstones fared well in their turbulent territory, quick to defend their family and possessions in the face of any aggression. The earliest recorded Johnstone appears in the 12th Century, a prominent border settler by the name of John Johnston. 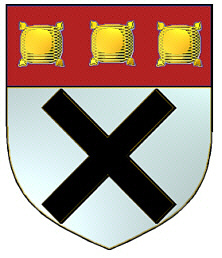 The Clan Johnstone soon rose to prominence, and by 1381 John's great-grandson had been appointed the Warden of the Western Marshes. Gallie, Gaunson, Georgeson, Henderson, Jameson, Jamieson, Johnson, Kean, Keens, MacComas, MacCorkill, MacCorkle, MacIan, MacKames, MacKeamish, MacKean, MacRob, MacWilliam, Mann, Manson, Nelson, Robison, Robson, Sandison, Swanson, Williamson, Wilson. 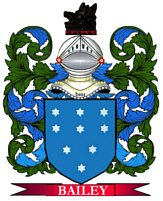 Clan MacDonald of Ardnamurchan: Johnson, Kean, Keene. Clan MacDonald of Glencoe: Henderson, Johnson, Kean, Keene, MacHenry, MacIan, MacKean.